Bionerds was born in September 2015 in Orange County, California. It was founded with a mission to nurture curiosity, share lifetime passion and give opportunities for the younger generation to learn about biology through self-discovery. We believe each individual is a bionerd. Living things are too amazing not to be wondered about. When the right environment is provided at a young age, a child will learn and appreciate how amazing living things are, no matter how small or not-so-good-looking they are. The people behind Bionerds are fun, energetic and of course, bionerds. Our goal is to awaken your kid’s inner bionerd once and for all. All Bionerds’ teachers have Biology or other Life Science degrees and have been cleared from the background check, TB and drug tests. They are also First Aid/CPR/AED certified. 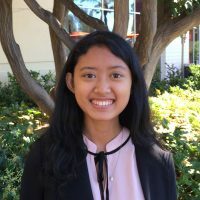 Diana Dizon is the founder and president of Bionerds. Biology has been her passion ever since she can remember. She thinks the human body is a very fascinating machinery. She earned her bachelor degree in Medical Microbiology with a minor in Chemistry from California State University, Long Beach. Then, she continued her academic journey to earn a Master of Science degree in Biotechnology from the University of California, Irvine. She co-authored several publications related to her field. She is also a mother of two young children who are curious about everything. Spending more than 16 years combined in pharmaceuticals, academic research and manufacturing department has only deepened her love for biology. Now she is excited to be sharing her passion, expertise, and experience with the younger generation. 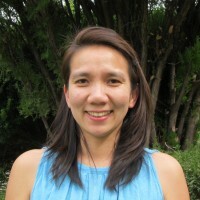 Sopheap Phin, Ph.D., is the curriculum consultant at Bionerds. She helps develop our curriculum, which is guided by the California Department of Education standard and Science, Technology, Engineering and Mathematic (STEM) Program. 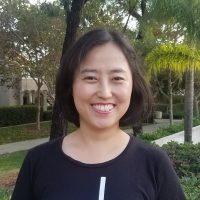 She earned her bachelor degree in Medical Microbiology and Molecular Biology from California State University, Long Beach and her doctorate degree in Developmental Biology from the University of California, Irvine. She authored numerous publications in her field and has experience teaching students from the elementary to the college level. She is very passionate about science as well as sharing her enthusiasm for biology. Bionerds is very grateful to have her on board. 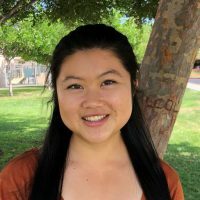 Allison Ong is an Educator Associate for Bionerds. She graduated from the University of California, Los Angeles, with a major in Microbiology, Immunology & Molecular Genetics plus a minor in English. She has worked on public health projects in Mexico and taught at kids’ summer camps in her hometown of Anaheim, experiences that have showed her the incredible impact education has on any mind curious to learn. She hopes to pursue a career in medicine, public health, teaching, or a combination of the above! She also has a passion for journalism and keeping others informed of bizarre science news – be sure to follow Bionerds on social media, where she writes behind the scenes. Bionerds is grateful to have her on the team. 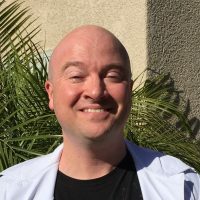 Bryce Perog is an Educator Associate at Bionerds. She graduated from California State University Fullerton with a B.S. in Biological Science with a concentration in Ecology and Evolution, and is now back working on her M.S. in Biological Science. Bryce has taught scientific concepts to people of all ages. She strives to encourage children at Bionerds to develop an interest in science and apply that curiosity of the world to other areas of their lives. Bionerds is excited to have her on the team. David Durtschi is an Educator Associate at Bionerds. He graduated from the University of Missouri-Columbia, with a Bachelors degree in Biological Sciences. He has 20 years of experience in Molecular Biology and Genomics research from prestigious institutions such as Yale University, Oak Ridge National Laboratories, and the University of California-Irvine. He has one 11-year-old daughter who also loves science. After volunteering during the after-school programs at his daughter’s school for two years, he discovered a passion for teaching children. He plans to continue teaching and passing on his knowledge and expertise to our next generation of scientists. Bionerds is fortunate to have David in our team. 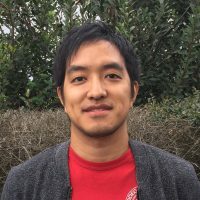 Eric Fan is an Educator Associate who graduated from California State University, Fullerton with a Masters (MS) degree in Biology and a Bachelors (BS) degree in Biological Science at the University of California, Davis. He has years of experience in marine biology and cancer research. He enjoys science because it is a field of study where he can always learn something new about the world around him. He enjoys playing music and maintaining his planted aquarium during his free time. While pursuing his Master’s degree he discovered a passion for teaching. He enjoys seeing the excitement in his students’ eyes when they learn something new, and he hopes that he can inspire the next generation of young biologists! Bionerds is fortunate to have him in the team. 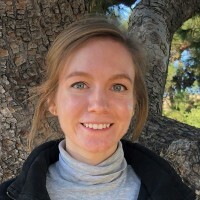 Jessica Ballard is an Educator Associate at Bionerds. She received her degree in Biological Science with a concentration in Marine Biology from California State University, Fullerton. 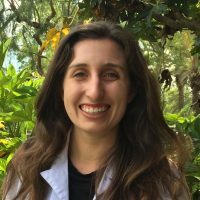 Jessica has years of experience in marine biology research and education, which motivated her to spread this passion by teaching biology to students. She hopes to give students a positive experience in biology and encourage them to apply those skills in the future. Bionerds is grateful to have her in the team. 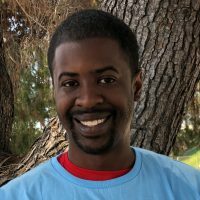 Joshua Mckinley is an Educator Associate who graduated from California State University, Fullerton with a Bachelor of Science degree in Biological Science (concentration in Cellular Biology). He has years of experience in marine biology research, mentoring and teaching. He enjoys science because it allows us as a society to think critically and answer life’s important mysteries. He also plays piano during his free time. Joshua has a passion for mentoring youth and allowing them to reach success. Bionerds is fortunate to have him in the team. Kristine Martinez graduated from Bradley University, Peoria, IL, with a degree in Biology. She went on to do corneal research at Bethesda Eye Institute in St. Louis, MO, and then immunology research at the Scripps Research Institute in La Jolla, CA. 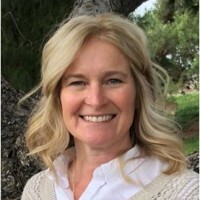 She received her Masters in Biology at University of California, San Diego, concentrating in immunology and co-authored several publications in her field. In the classroom, she loves to see students make connections and learn to love science. Bionerds is fortunate to have her in the team. 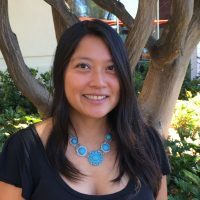 Melanie Leong is an Educator Associate at Bionerds. She graduated from Colorado State University with a degree in Wildlife Biology. 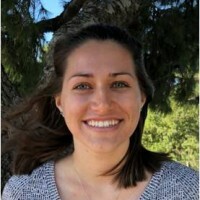 During her time as an undergraduate, she discovered her passion for teaching through helping students understand basic biology concepts as a laboratory teaching assistant, mentoring high school freshman with their own scientific research projects, and leading outdoor education programs for elementary school children. She loves getting students excited about biology by making it fun and engaging through hands-on activities. Bionerds is grateful to have her on the team. 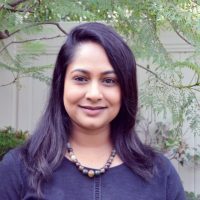 Sameera Rangwala is an Educator Associate at Bionerds. She has a passion for all things science. She earned her bachelor degree in Biology with a minor in Family Psychology from the University of Maryland, College Park. She continued her academic journey to earn a Master of Public Health with a concentration in Biostatistics from the University of Maryland as well. Not long after, she earned another Master’s degree in Biotechnology from the University of Maryland. Sameera has 15 plus years in the industry field. She is also a mother of three young children who naturally love science and technology. She hopes to teach, inspire, and ignite a passion for science in the next generation of world changers. Sameera is a pleasure to have in the Bionerds team. Shelbi is an Educator Associate for Bionerds with a love of sharing curiosity and wonder about science to students. 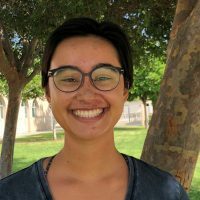 She graduated from the University of California, San Diego in Environmental Systems and spent part of her time as an undergraduate as a research assistant at Scripps Institution of Oceanography. She has a joy for learning and encouraging students to find what they are passionate about. Shelbi is a wonderful addition to the team. Caleb is an Educator Assistant for Bionerds. He has a passion for biology and is working to complete his associates degree in Biotechnology as well as completion of the Orange County Biotechnology lab readiness program at Santiago Canyon College. He enjoys the chance to educate the children of Bionerds on the wonderful world of biology and its applications to our modern day life. Caleb is a pleasure to have in our team. Fabian Pardo is an Educator Assistant for Bionerds with a strong passion for Biology. 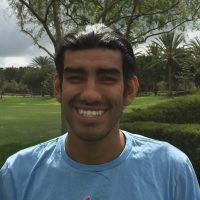 Fabian wants to pursue a career in Marine Biology and is currently working to obtain his Bachelor’s Degree in Biology at California State University, Fullerton. Fabian believes that exposing children to the world of Biology helps them develop their potential, especially at a young age. Working with Bionerds gives him the opportunity to share his knowledge with the children. 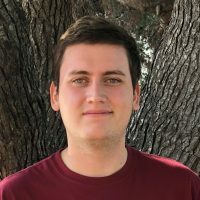 Fabian is a wonderful addition to the Bionerds team. Jamie Lee is an Educator Assistant for Bionerds with a strong passion for education. She has a Bachelor of Arts in French Language and Literature from Konkuk University in Korea. She has been an English tutor for students for years and now is excited to share her passion in education and science to our young Bionerds. Bionerds is grateful to have her in our team. Josephine is an Educator Assistant for Bionerds. She finds biology to be a very interesting subject. She is attending Irvine Valley College to pursue her bachelor degree in Psychology. She also loves music, playing a violin during her free time. She enjoys working with all students of Bionerds and is excited to work with more future young Bionerds. Bionerds has a blast having her in the team.